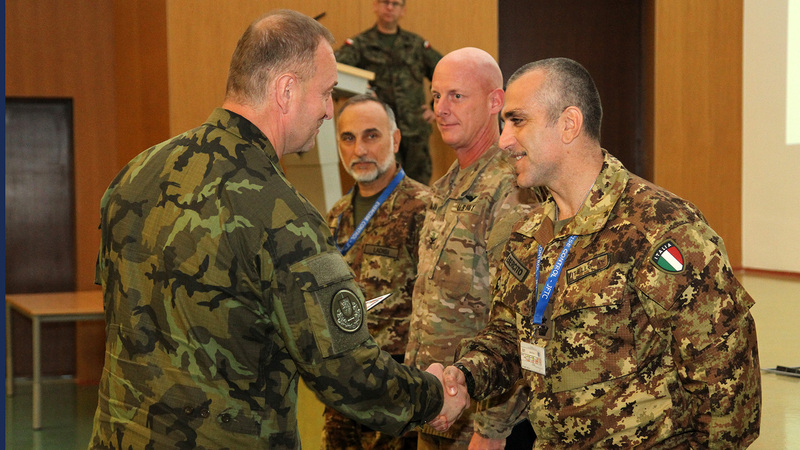 “I am convinced that the training you received at the Joint Force Training Centre (JFTC) met all its objectives and you are well prepared for your mission in Afghanistan” – said Brigadier General Ladislav Jung, the JFTC Deputy Commander and Chief of Staff, addressing the training audience of the fourth 2018 Resolute Support training event during the closing ceremony. 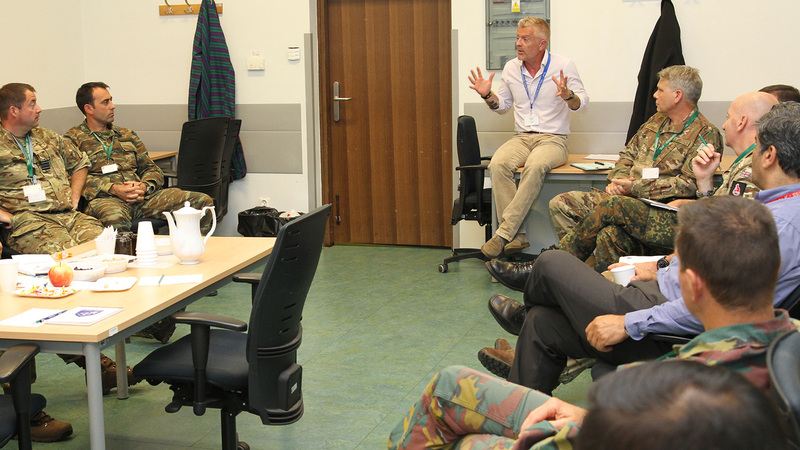 Trainees completed the last phase of their pre-deployment training on 11 October. 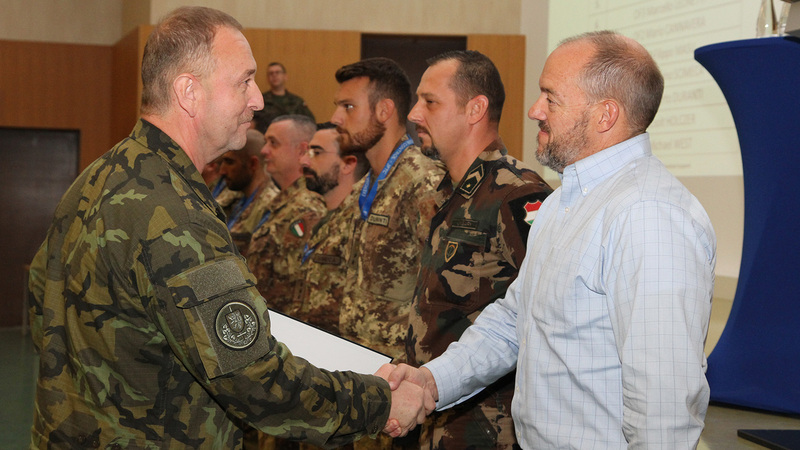 After two weeks of intensive work, filled with lectures, panel discussions, interaction with future counterparts, exercises with interpreters and many others, another group of NATO soldiers is ready for their mission in Afghanistan. 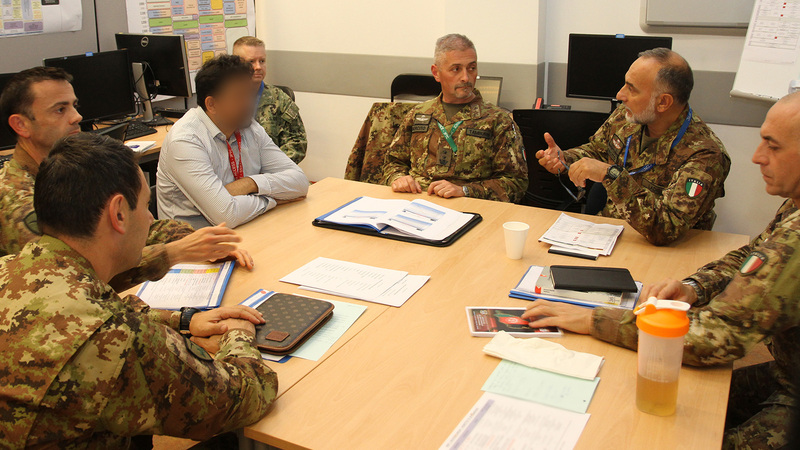 The training at JFTC prepared future advisors and staff members of allied commands in Afghanistan to execute and support the main effort of the mission – which is to train, assist and advise Afghan counterparts. The participants received a full picture of their future tasks. 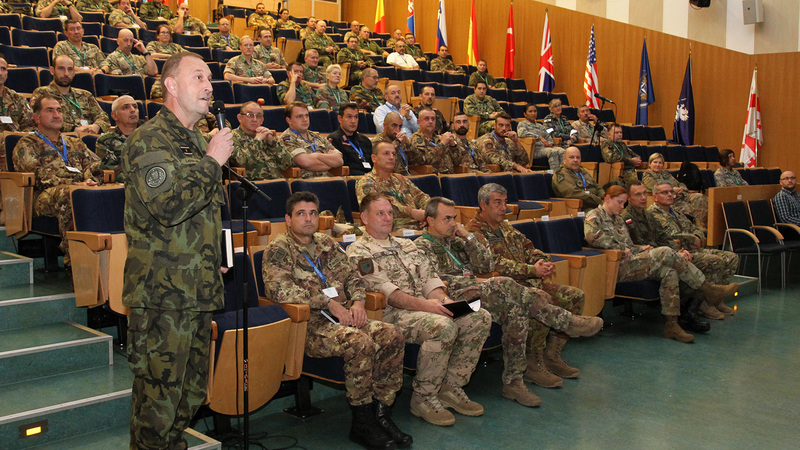 They trained in a very realistic environment, tailored to their needs, and were supported by JFTC members, representatives of various NATO units and agencies, but most of all, by soldiers with relevant theatre experience, who provided the up-to-date knowledge and information on the Resolute Support mission. This will allow the trainees to quickly assume their duties when they arrive into Afghanistan. For the majority of the training audiences, training events at JFTC are the first occasion to meet their future partners. It is also an opportunity for team building. Throughout the whole event, the participants were encouraged to learn to know and to understand each other, to get familiar with their own and partners’ strengths, capabilities and limitations. Thus, they already started to build strong teams their future Commanders could rely on. Also Lieutenant General Hubert de Reviers de Mauny, Chief of Staff of the Joint Force Command Brunssum, who addressed the audience via video teleconference on the last day of the training, expressed his gratitude to JFTC for conducting a high quality event that would give the soldiers firm foundation before their deployment: “I would like to thank the Joint Force Training Centre, Major General Wilhelm Grün and his staff, and especially Brigadier General Jung, the Officer Directing the Exercise. Ladislav, thank you for preparing this complex training event”. General de Reviers de Mauny also highlighted the key goals as well as the importance of the allied mission in Afghanistan: “The Resolute Support mission requires the Afghans to take the lead and pursue Afghan solutions to Afghan problems. (...) We have to ensure that Afghanistan will never become a safe haven for terrorists again”. To learn more about the beginning of the training, click here.